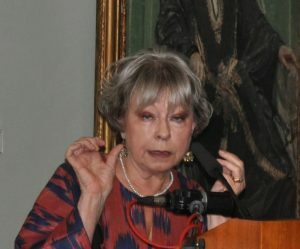 Yesterday evening, 4 October 2018, the Society was delighted to host a lecture by Dr Rosie Llewellyn-Jones MBE, “‘My Dear Schomberg’: Letters from Sir Aurel Stein”. Highlighting a hitherto unstudied collection of letters between Sir Aurel Stein and Colonel Reginald Schomberg, Rosie was able to provide a new insight into the character and personality of Aurel Stein, as well as fresh perspectives on his archaeological work. We look forward to further discoveries stemming from Rosie’s research into this fascinating correspondence. Such a lecture always stimulates an interest in the character of the man and the material that he amassed in his lifetime. We are fortunate at the Society to own many of his works and also a large collection of photographs that were taken in readiness for his publications. 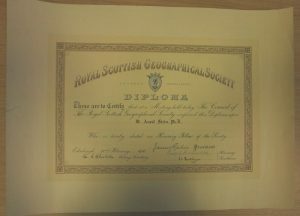 These have been previously blogged about and more information can be found about them in the Photographic Collections on our website. Details of each of the photos can be found on our online catalogue. 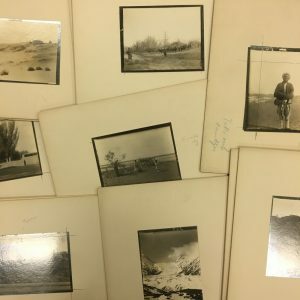 The photographs belonging to Aurel Stein were donated to the Royal Asiatic Society on 13th October 1949 by Frederick Henry Andrews, artist and educator, who had accompanied Aurel Stein on many of his expeditions. 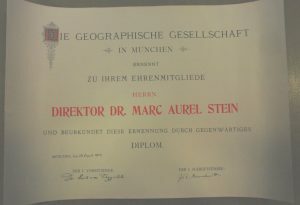 We do not have any definite provenance for the certificates but it is probable that the certificates were donated at the same time. 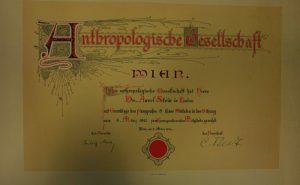 If you would like to see more of our Aurel Stein Collections, please do come and visit the Reading Room which is open Tuesdays and Fridays from 10-5 and Thursday afternoons, 2-5. Next week we have two events at the Society. 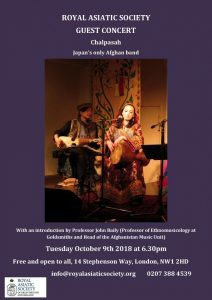 On Tuesday 9 October, 6.30pm, there will be a guest concert of Chalpasah, Japan’s only Afghan band, who will be introduced by Professor John Baily. For this event we ask that you register your interest at eventbrite. 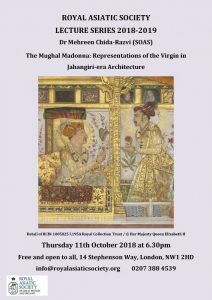 On Thursday 11 October, also at 6.30pm, Dr. Mehreen Chida-Razvi from SOAS will lecture on “The Mughal Madonna: Representations of the Virgin in Jahangiri-era Architecture” in which she will explore the depiction of Christian imagery by Indian artists. We hope to welcome many of you to these events.